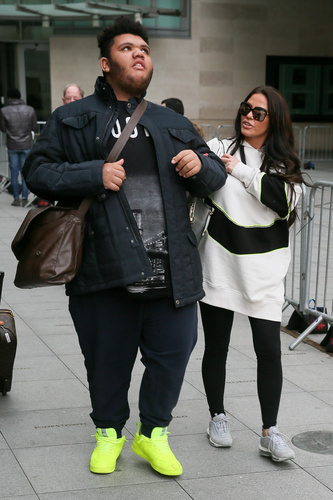 Former model Katie Price has poked fun at her own long list of woes, reasoning it is better to laugh than cry. The Loose Women star has had a rough year – one that has seen her face possible bankruptcy, go to rehab and a tumultuous relationship with boyfriend Kris Boyson – among many other unfortunate events. But she’s shown that she’s keeping her head above water amid all the drama, poking fun at a meme based on her troubles. Followers were delighted when she reposted a video of herself listing just a few of her troubles in an interview on Instagram. In the video Katie lists a few of the calamities that have befallen her and her family, including the terminal diagnosis her mother received several months ago. “I was held at gunpoint with Junior and Princess in South Africa,” she begins. The mum-of-five also showed she can still enjoy the little things in the middle of massive life decisions. 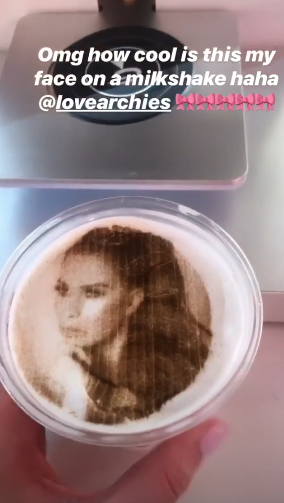 She also took to Instagram Stories earlier today to share pictures of a milkshake made with her face on top! The milkshake was made by Manchester diner Archie’s and featured a realistic image of the model on the surface of the drink. The posts come as Katie has been forced to defend her decision to enrol her eldest son Harvey as a boarder during the week in his specialist school. She confirmed her decision in an appearance on This Morning, claiming that at times Harvey – who is autistic, and suffers from Prader–Willi syndrome – can scare his siblings. “It’s so hard now. Even at nighttime, he’s like a nightmare newborn. I can’t get any sleep,” she said. “He comes in and goes in the kitchen and bangs about and he goes in the kids’ room and be like, ‘Boo!’ and wake them up. What do you think of Katie’s post? Leave us a comment on our Facebook page @EntertainmentDailyFix and let us know.